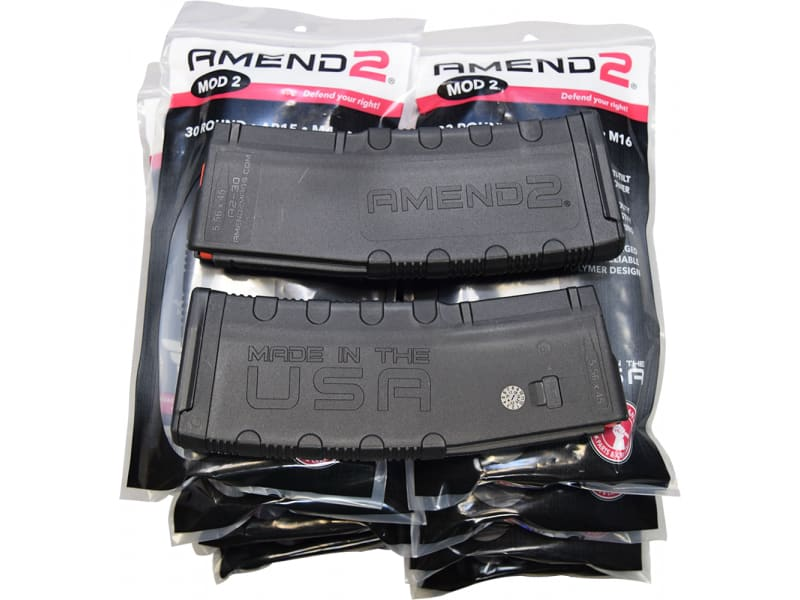 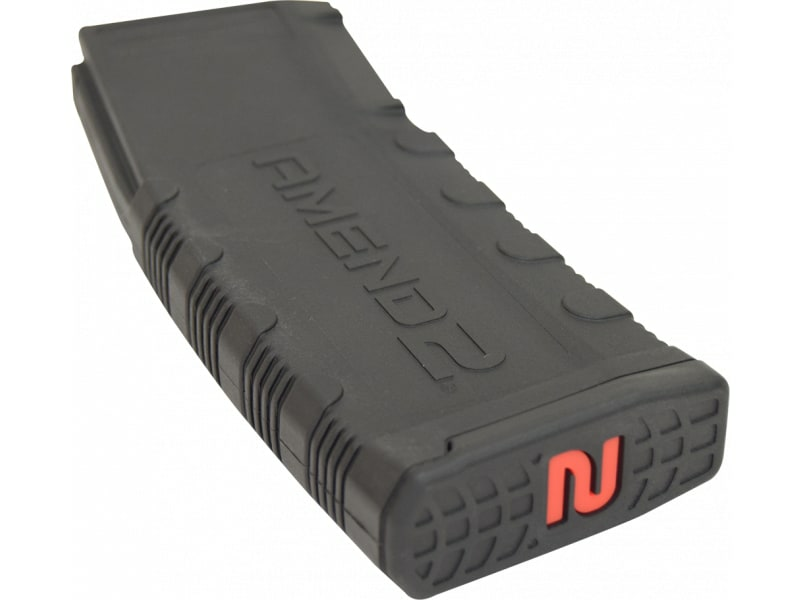 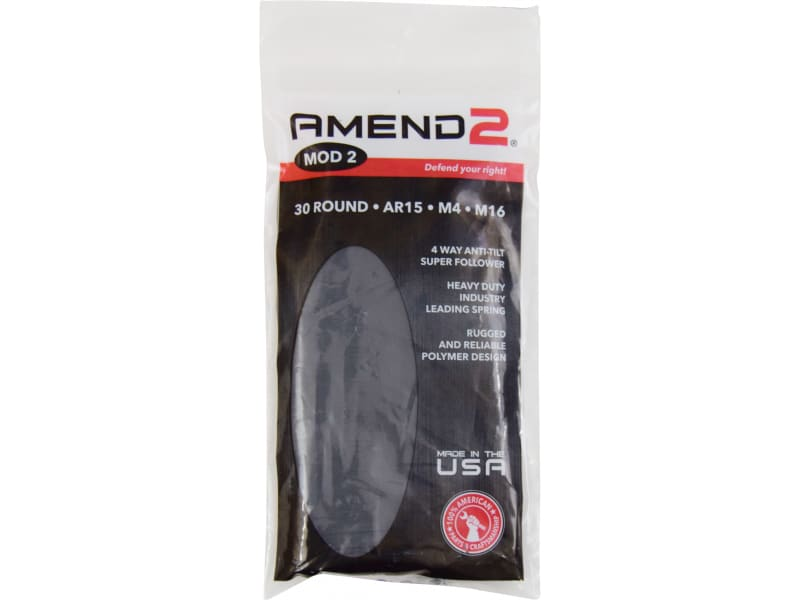 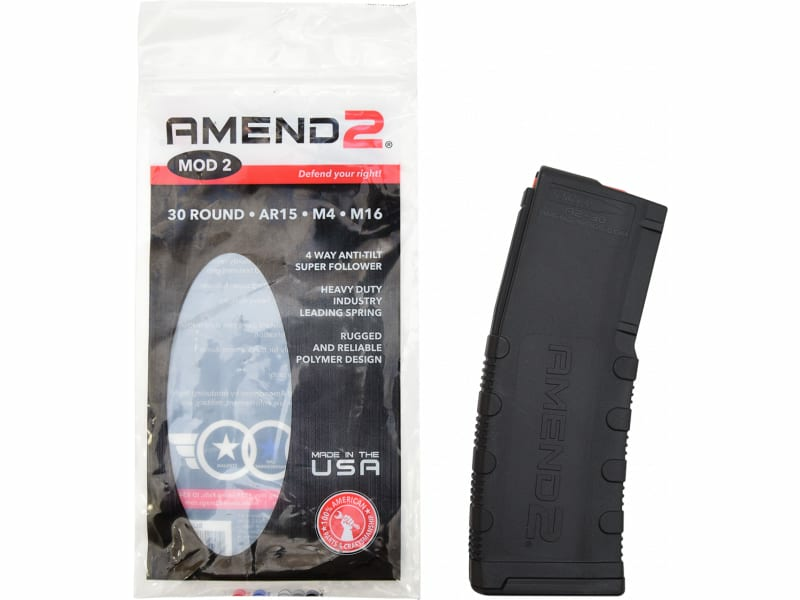 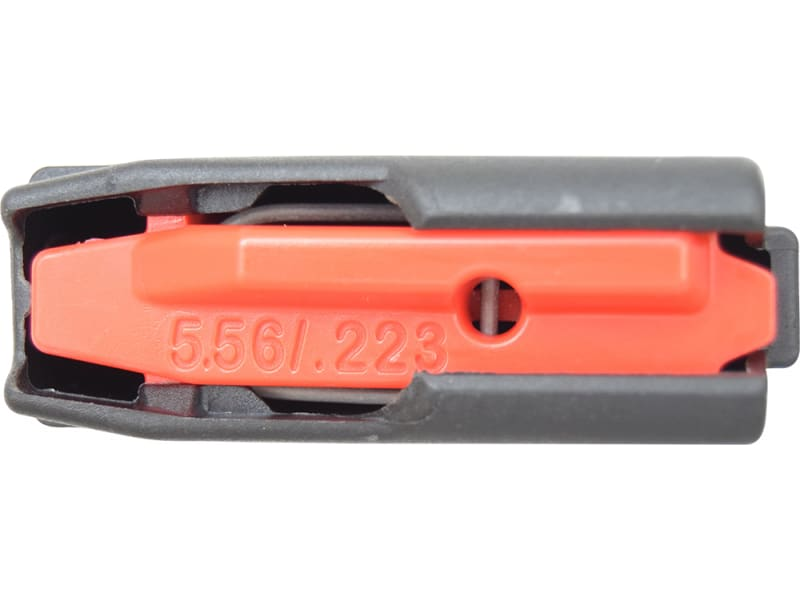 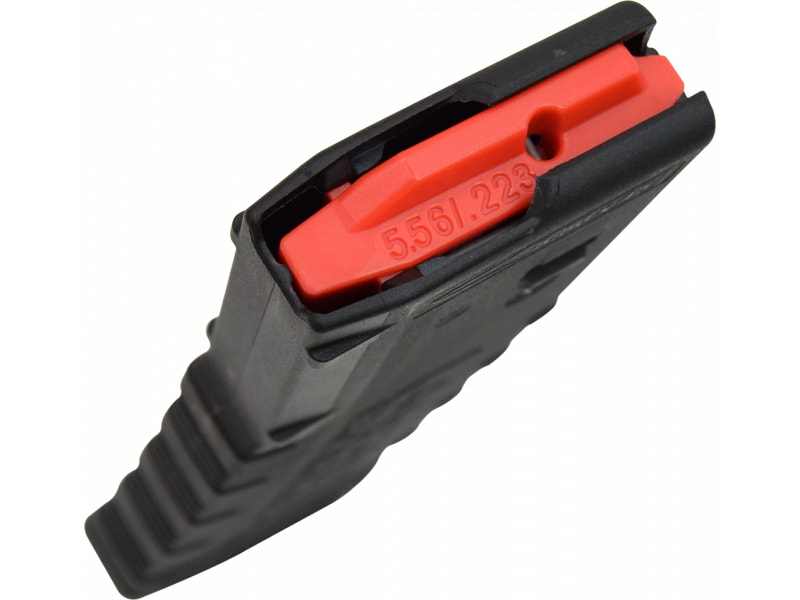 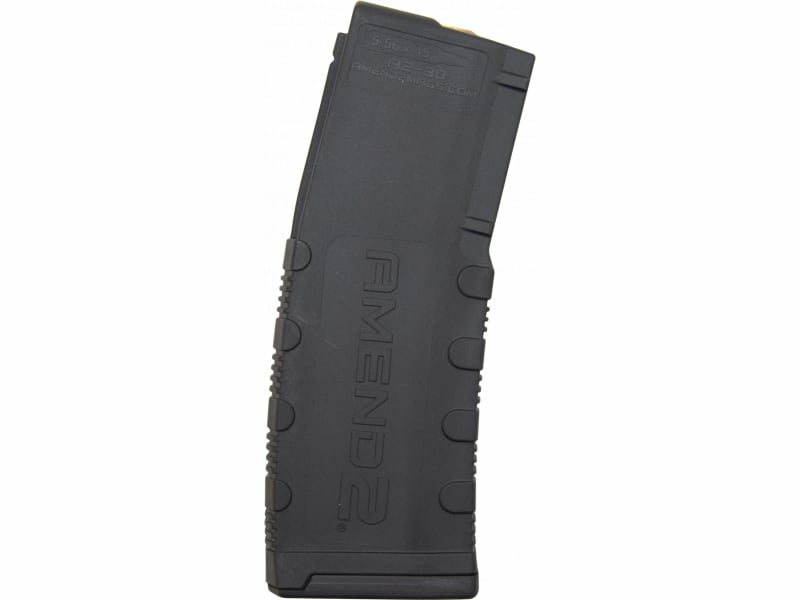 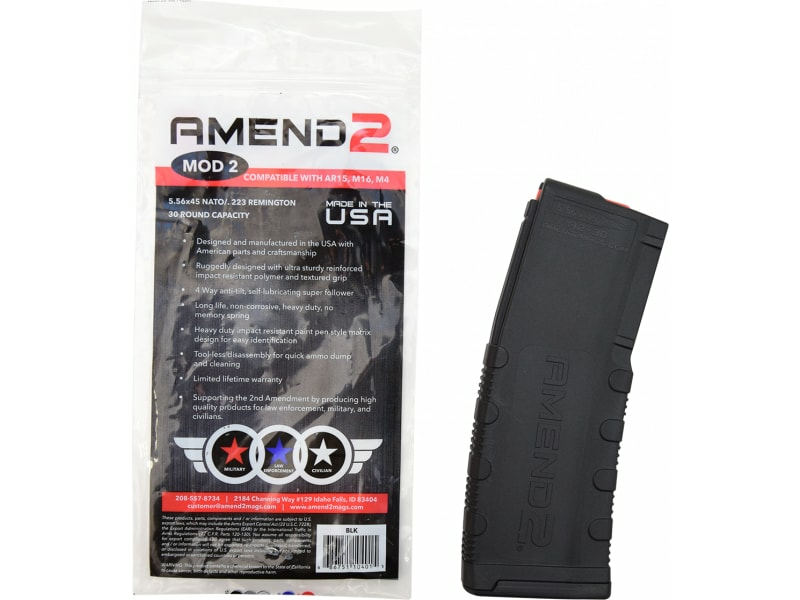 Amend2 556MOD2BLK30: The Amend2 30 round magazine is a sturdy, reliable 5.56x45 NATO (.223 Remington) AR15/M4/M16 magazine made of advanced polymer material. 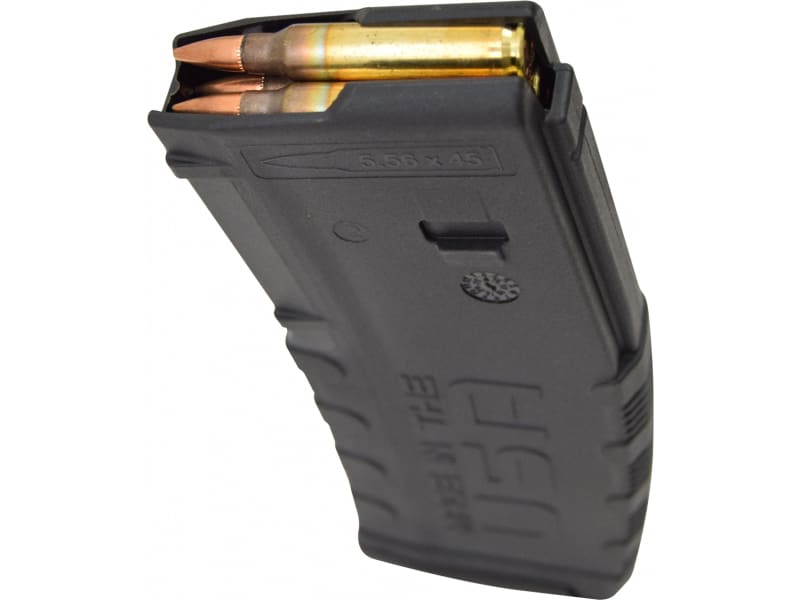 It is a light, durable and excellent alternative to the standard M4/M16 USGI aluminum magazine. 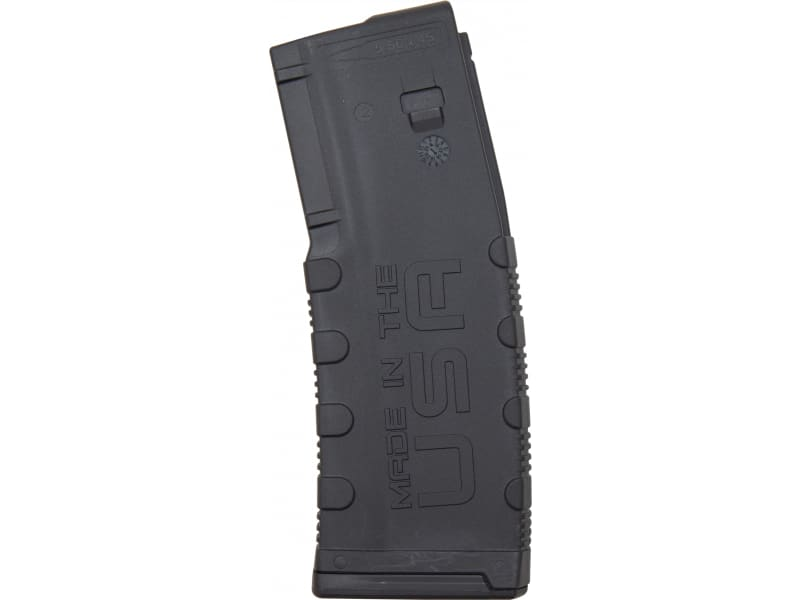 Magazine features a sturdy Impact resistance polymer body with textured grip, anti-tilt super follower, heavy duty, non-memory, and non-corrosive stainless steel spring and is made in the USA. 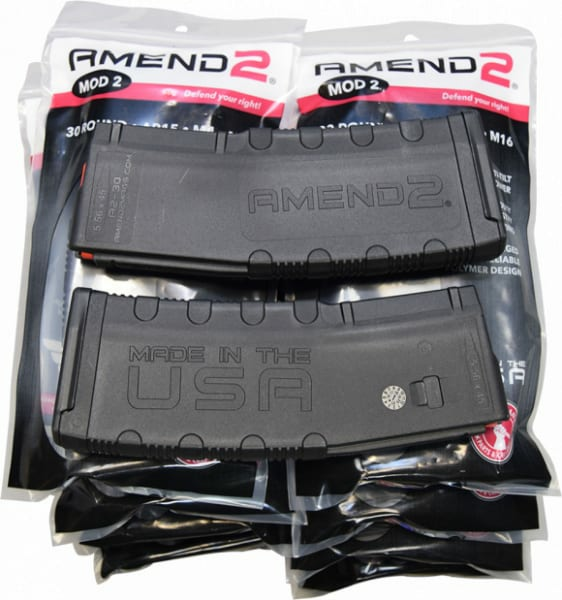 This particular SKU ships as a bundle pack of 10 magazines.